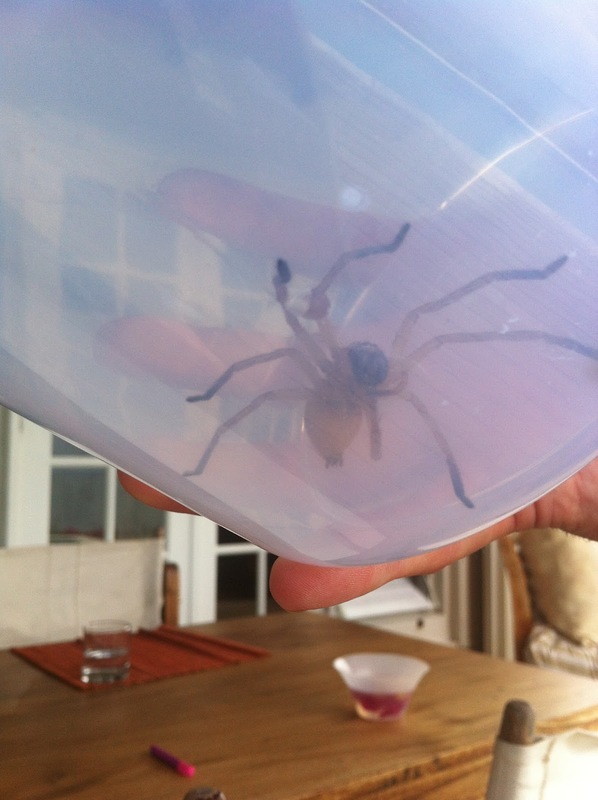 I accidentally found this spider inside the house yesterday. I got a real fright and practically broke the the glass to get outside. “Children, save yourselves!” was the cry. I called my husband and told him he needed to come home quickly as there was a spider emergency. He was not impressed by the call, but then suitably impressed by the spider. I left the building! Photos are courtesy of our Very Brave Son. I don’t know what kind of spider it is, but I do find it hard to do the research as I am not particularly partial to scouring images and comparing fang sizes and number of leg hairs of such spiders. Hence, if anyone can help with identification I would be delighted. I would prefer never to see one again. I do hear that they are harmless and that they just get washed out of their homes when it rains heavily. This fellow appeared in our house the day after some really heavy rain that kept me awake for hours. I hope this share does not put you off. 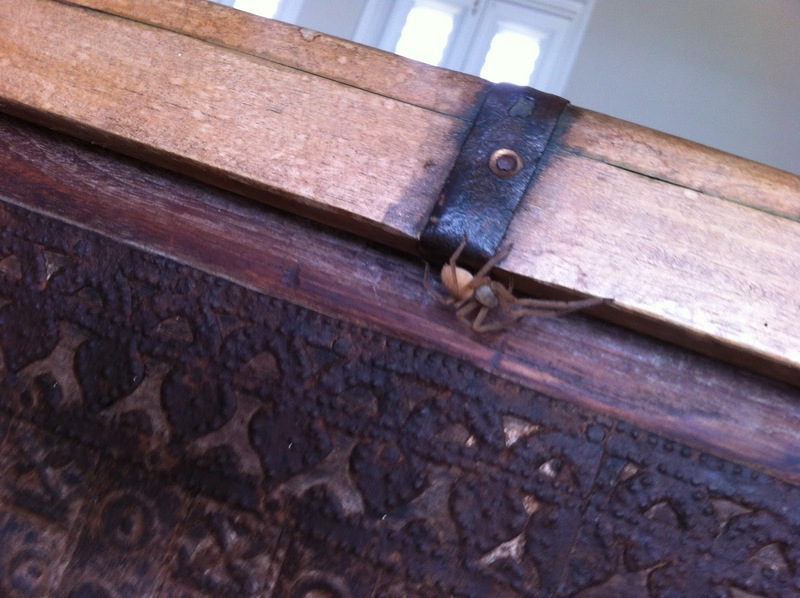 I am not particularly interested in creepy crawlies but I would rather that we kept our own space. Suffice to say that I am now sleeping with one eye open!